I've just installed a new PDA skin. If you are on the go, please try it out! Yup! We just upgraded to VBulletin 3.6.0. Chai will be along shortly with a list of updates. Wow... the new features are cool Thumbs up!!! Arcade will not be available until further notice. 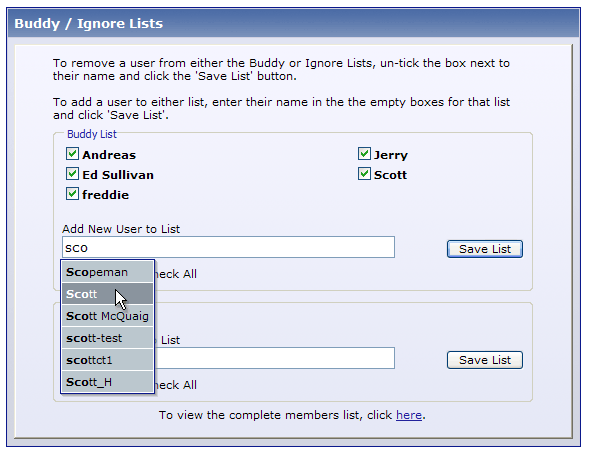 Okay, here's a short list of NEW features in our newly-upgraded forums. tag. When the quoted text is viewed in a thread, a small icon links back to the quoted post. If a user attaches an image that has dimensions larger than the administrator allows, the image will automatically resized to fit. 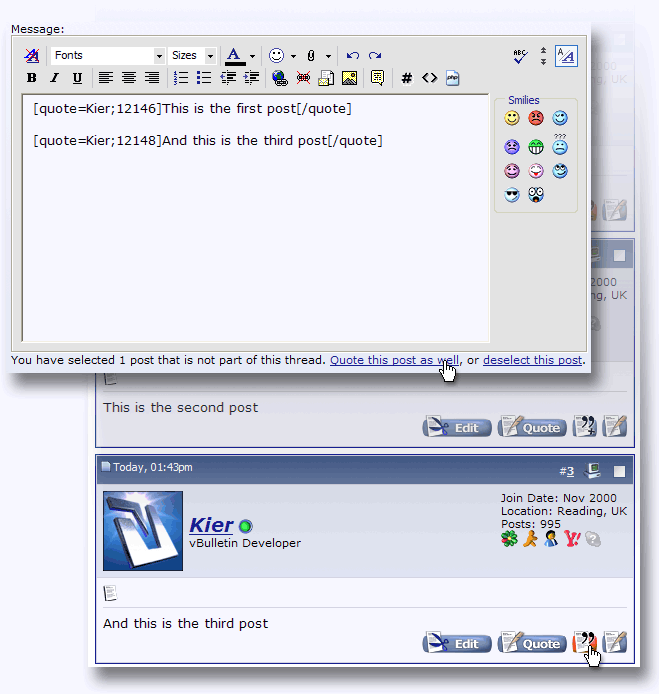 This is similar to the auto-resizing of avatars that vBulletin 3.5 performed. The infraction system allows moderators to flexibly reprimand problem users. Each infraction has a controllable weight (points) and an option to allow it to be applied only as a warning, which alerts the user to their violation but doesn’t give them any points. Additionally, the points given to a user for a violation can be automatically removed after a specified amount of time via the Scheduled Tasks system. A user's infraction history can be seen in his profile. Will all the scores be reset to zero when the arcade comes back? Oh definitely not, the scores are still in the database. Please add back 'New Thread' button in thread itself. I was waiting for you to request this, but I'm lazy. LMAO! Probably this weekend. The mod is already released quite sometime back. Oh, and I almost forgot: the ability to play the arcade games in a separate window that can be resized. I'm sorry, it's not possible to made those changes. It is how the game works. For a donation of $5.00 eaach, allow a download of the combined big CPU info panels for server/desktop. $2.00 gets me an updated one whenever new models are added. I'm assuming they are in a database that outputs spreadsheet form already. That way I could sort the CPUs in different ways, according to my own needs for putting together a bid for PC or server. I hate PayPal, but that is the simple way until some alternative is available. Well! That didn't work, why doesn't my EOC sig also "image up"? LOL! Why do you say he's a bot?